I was at my computer 30min before the launch and the site crashed even before hand! By the time I was able to get on the site, everything had been sold out, crazy, haha! I love the way you styled the shirt and I think it was a great buy because it's certainly something you can style in so many ways; I love the way you styled it here! I hope you have a lovely day, girlie! 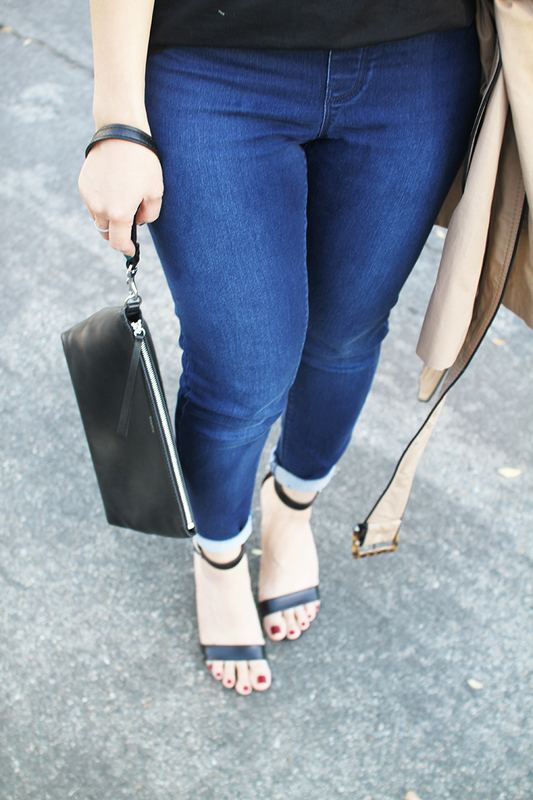 love how you styled your outfit with a trench! great look! Funny that you mention that! I completely forgot the collection launched as well! I love how you styled the shirt though- you look bangin! I completely agree--I'm not willing to spend the time and money on a piece that I'll hardly wear! I love the tee shirt you got. It's so versatile! I agree with you. I didn't even try to shop the collaboration. I did really like a few pieces, but after so many of these collaborations I realized that a lot of people have the same pieces so they get overdone and by next season, everyone is so over wearing it. 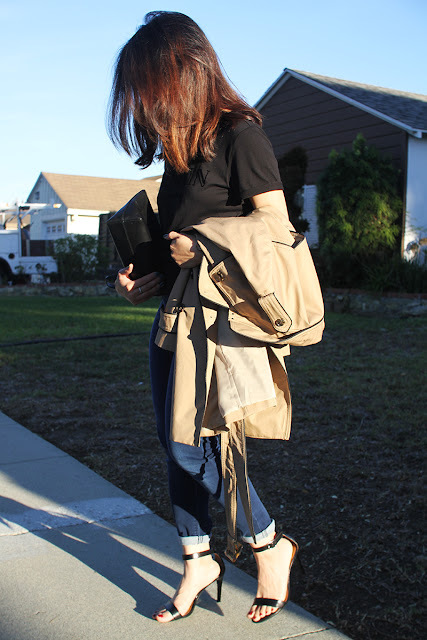 Looking beautiful Trang :) Very smart way to add a trench to jazz up the outfit further! 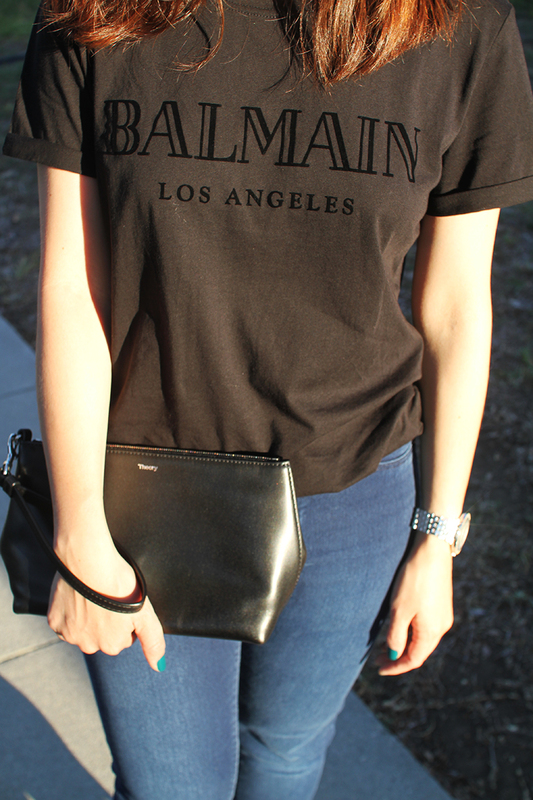 Amazing casual chic, love the tee! Love how you styled your tee! So perfect! Haha I know! It totally died down the next day. Anyway love this outfit, super casual and trendy! Love your heels. So great! I love their new line, everything is so stylish! The whole look is gorgeous, but I especially love the heels! Cute look! I totally agree with you - I am not about to join a stampede for a designer collab. Unless they are handing out free Chanel...no thank you! I love how you dressed up a tee and jeans with those cute heels. Great look! I only saw the pieces in some bloggers' posts. You look very pretty in this chic outfit! Have a great weekend! Agree about everything you said!! That t-shirt is more casual, I like it! I love this t-shirt very very much! love this casual chic look, your t-shirt is just perfect! Did you change your blog's layout?! It looks so chic and clean! I do agree about the Balmain collaboration, I too haven't heard much about it now and it's been only a few weeks. The shirt is so cool and you styled it very well! I agree.. while with many of the collaborations there are great pieces, I feel that usually it's more about the hype. They did amazing with the PR especially by involving major celebrities as well. You look super edgy in the Balmain tshirt. I did buy a piece from the collection but i wouldn't die if I didn't have one! I didn't wait 12 hours to get it too! I love this look, so casual and elegant! Hi lovely, yes I think the same way, I wish the collection was a little different, I love your look, the t-shirt is perfect. However, I have seen a few items and they look nice! I agree, I heard so much about the collection before it launched, it was everywhere! I didn't know about this collab! It looks fab though! This t-shirt is so chic and simple at the same time! Love this look gorgeous! Trông bạn rất cá tính và đẹp trong "bộ cánh" này. Bài post sẽ tuyệt hơn khi bạn bổ sung thêm hỉnh ảnh bạn khoác lên mình chiếc áo khoác màu camel đó. Mình thích sự tối giản trong cách ăn mặc và mình thấy được điều đó trong style này của bạn. P/s: Vui vì được đọc tiếng Việt trên Blog của bạn! The T-shirt is indeed a good investment as it has such a versatile design, love it on you! so simply chic..love the balmain shirt.. 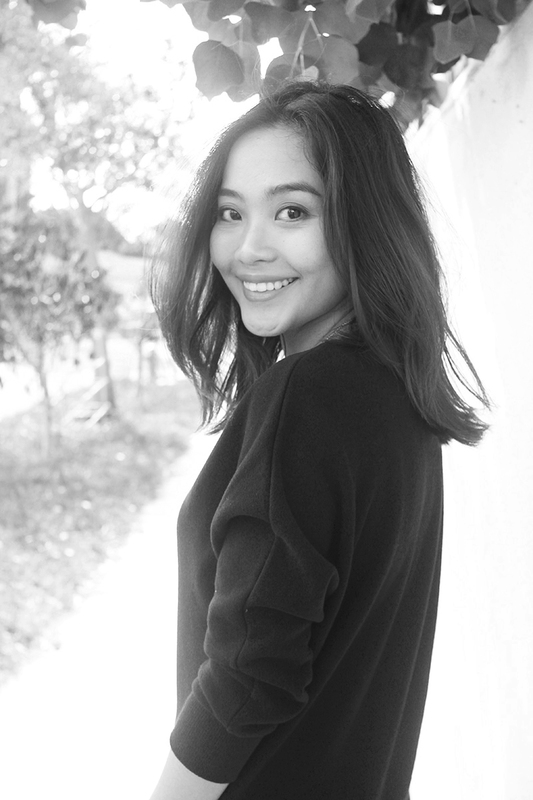 I love your tee, so simple yet so chic! Totally agree with you! And you look great in this outfit! Love this look and totally agree! Wish they would do some more casual collaborations. Love the heels paired with the t-shirt comfy chic!